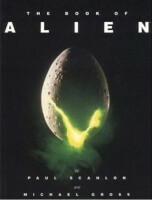 Titan Books are also reprinting Alien: The Illustrated Story but that’s been delayed for a few months. Meanwhile, Prometheus: The Art of the Film is scheduled for release on June 12th. ALIEN: The Illustrated Story release dates -- just got these from Titan. The remastered color version will be released September 4th, 2012. The Original Art Edition (unsigned) will be released October 26th, 2012. The Original Art Edition (signed) will be released October 30th, 2012. Hmm, might save my money and hold out for a while, then. Thanks for the response. Every time I read about this comic it seems more tempting to get. Oh, would anyone recommend The Book of Alien? I'm actually considering getting that one, but I want to know if its any good. Me, not so much. It was a treasure trove for 20 years before the advent of DVD. But pretty much everything in it has wound up in some shape or form on DVD or Blu-Ray. It's nice, to be sure - just don't expect to learn anything new. I'm pretty pissed right now, I just found out that amazon won't be giving away the limited edition of the Original Art edition as originally planned (just a wide release version of it), the limited OA edition will be sold at $75 at specialty stores. I don't have that kind of money and amazon was selling it at only $40, too. Hey Everyone! From what we've heard. there's been confusion concerning the different editions of Alien: The Illustrated Story by Archie Goodwin and Walter, slated for release this fall. Since I'm a member of the Titan Books editorial team, I thought I might be able to shed some light. One will be distributed by Diamond Comic Distribution, signed and numbered, limited to 2,300 copies. It was conceived to be exclusive to comic book stores--a boost to independent retailers who survive based on their ability to offer unique items. There'll be a special signature page, custom-illustrated by Walter, which will only appear in that edition, and it will have a suggested retail price of $75. By keeping the price down, we hope that more of Walter's fans will be able to afford it. It'll even include Archie's original script, kept by Walter since 1979! Response to the "Original Art" edition was tremendous, and the online retailer Amazon asked for a wide-release edition. Knowing this would reach thousands more fans who would appreciate the Goodwin-Simonson material in all of its glory, Titan agreed, but stipulated that the edition would not be limited or signed--it won't even have the signature page illustration. As far as we know, it has never been solicited as being signed, and while it's got the same suggested retail price, due to Amazon's discount fans will be able to buy it for about $40. For folks who simply want to read the Ridley Scott story--in full color, no less--there will be two versions of the trade paperback graphic novel, 8-1/2" x 14" trim, each priced at $14.95. One will be exclusive to comic book stores--a perfect replica of the original 1979 edition. It's perfect for comics collectors who want something historic. The other will be a new, 2012 edition of the same graphic novel. available to retailers everywhere, and thus to all fans. I first ran across Goodwin and Simonson in Detective Comics, where I adored their "Manhunter" stories. On top of that, Walter is one of the nicest guys in comics (as was Archie). So I can't wait to see the new editions of Alien, and I'm really excited that we can share them with as many readers as is humanly possible. From everything I've heard, the books are beautiful. Walter has a lot of fans at Titan, so we're very serious about doing justice to his work (and Archie's). We hope you'll love the results. Is that the normal edition? I ordered the fancy pants one and it's saying September for me. Do you have a link to the fancy edition? Now 'Prometheus: The Art of the Film' has been pushed back to August 7th?!? It's back on schedule for amazon.co.uk and mine has been dispatched. Just got my copy of the technical manual today. I have wanted this for years, got it from Amazon for less than £8. Brilliant, a lot more to read than I thought. Something to read on the toilet for the next few days! I'm really interested to find out if the new version is the same as the old one, or if they added/changed anything. Afraid not, they're just straight forward reprints. Finally got to take a look at the Tech Manual this morning. The cover art is the original artwork, not that new artwork with the xeno from Alien Resurrection. I was really pleased to see that. As for the book's content, I've never had a chance to read this, so I couldn't tell you if there are any differences. But it's been reported that it's a straight reprint, so I highly doubt it. I think it's great that they're reissuing these out of print books. I got the CM technical manual way back when it first came out. It's a great book that goes into TONS of detail. I've still got my copy so I won't bother getting the reissue, especially if it's a straight reprint with only an updated cover. You're shitting me. I paid close to $30.00 for a used copy of the Colonial Marine Manual off eBay last year, and now it is coming back out? Thanks, I'll definitely be picking this up now, been wanting one ever since I heard about it on this site nearly a decade ago. I'm definitely excited about the technical manual. I was hoping that one day they would re-release it, and that day has finally come. I have one question though, has anything been added or removed from the original?